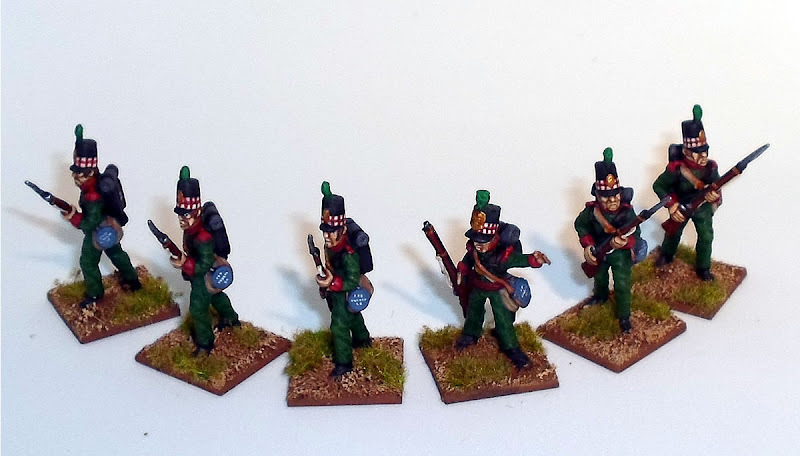 Changed title from "Sirmishers - 2nd Glengarry for the War of 1812" to "Skirmishers - 2nd Glengarry for the War of 1812"
I'm intrigued by the dicing on the shako,I've not come across it before. Where did you find reference for that? What wonderful uniform. 71st cap on a Rifles outfit…..very striking. I thought that covered cap was unique to "HLI"
Nicely done figures but I think you may be confusing The Glengarry Light Infantry with Glengarry Militia. The plate above depicts Upper Canadian Militia. Do look good though! 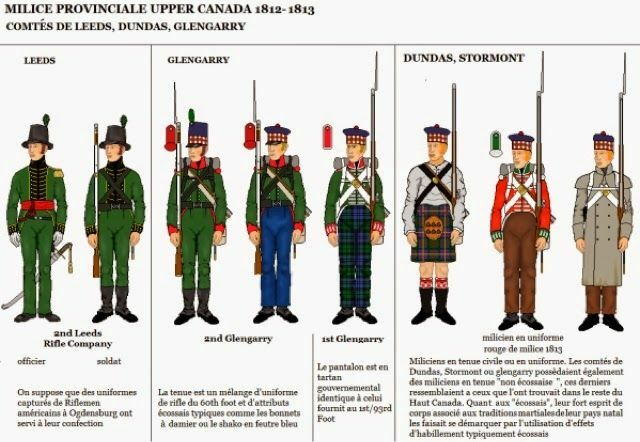 The 2nd Glengarry had two flank companies,so you could skirmish with them nonetheless!